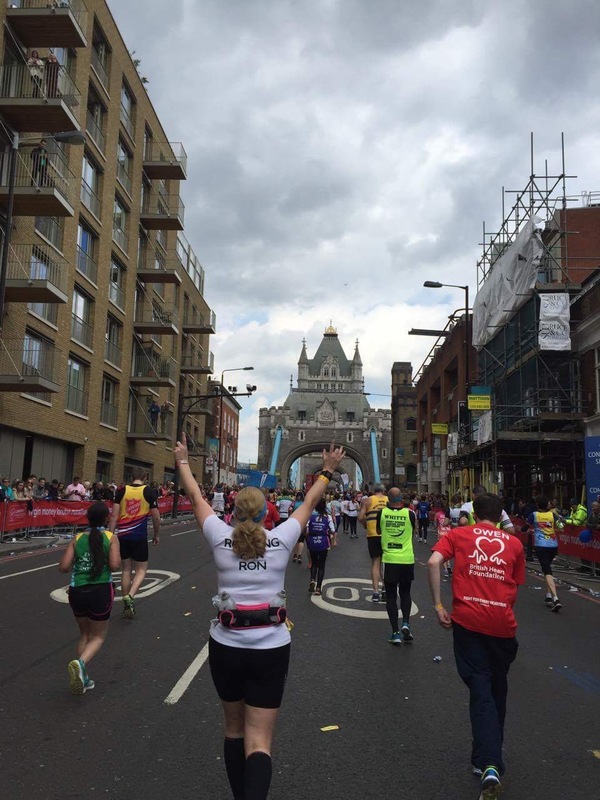 Grab some Prosecco and let me take you on a four year VLM journey……. 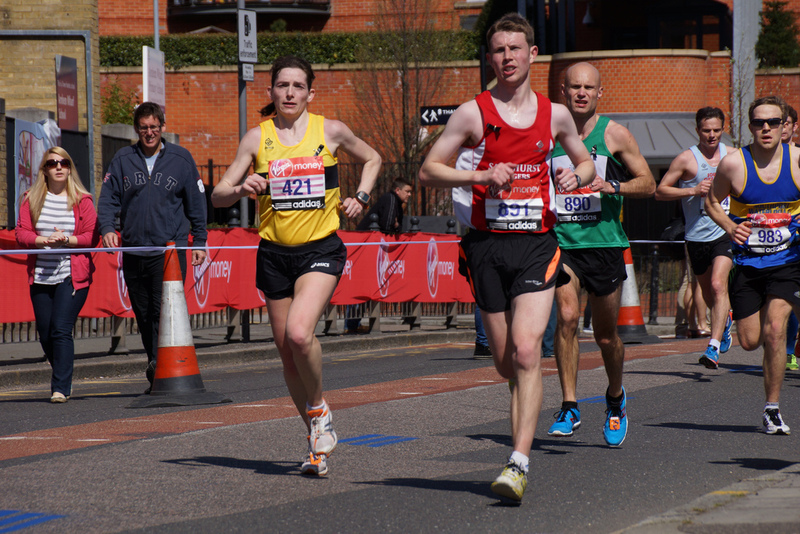 !The god of Marathons is a mean bugger, the god of the London Marathon is even meaner! 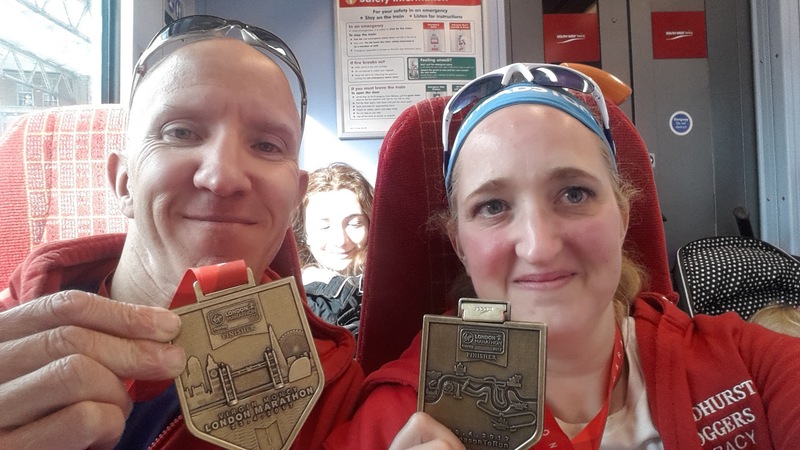 I battled for 4 years to even get to the VLM start line, what started as something to celebrate my 40th birthday ended up after my 43rd! In year one my calf quite literally went ‘POP’ during a half marathon (grade 2 calf tear) well into my training, the second injury struck again, the third year I ended up having two operations and this year, well the 28th Dec saw me in having another heart operation and no running for most of January – not great when VLM is looming! Should I pull out……I decided to say ‘sod it’ and just do it as a walk run and being as it was on St. Georges day ‘slay my dragon’. Even getting to the start this year was a challenge but Serena swooped to my rescue to help me when defeat loomed in early APRIL! To get to the start was amazing but my biggest fear……nervous weeing! I suffer badly with this but thank goodness VLM have loads of loos!! Not so at my first Marathon where there was about 1,000 Race for Life ladies and 4 loos! It was wonderful to get ready with the other SJ’s then off to the start with Zerrin, Hannah & Caroline and above all Ron looking down and smiling on us, his Sunday run groups were always great fun. Because I decided to run for fun not speed I stopped and looked at the sites, took in the crowds and did better than I thought, my legs hated me from mile 21 but seeing so many SJ friends on route like Sara, Smiffy and Andy helped keep me going, and the crowds surpassed my expectations all the way round. 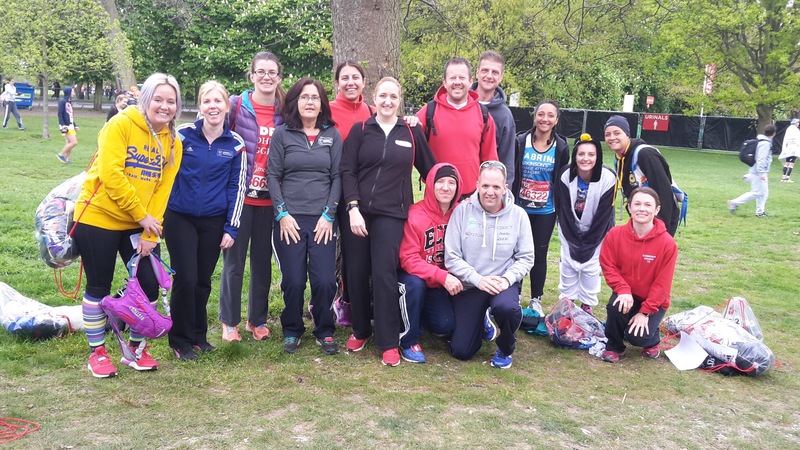 But the best feeling in the world…..was seeing Kerstin as I ran up the Mall with her arms open to hug the hot sweaty mess I was in as I finally stepped over that finish line. Seeing all the SJ’s at the end just made all the last 4 years worthwhile, god I’m lucky to be in such a great club.